In a hurry? 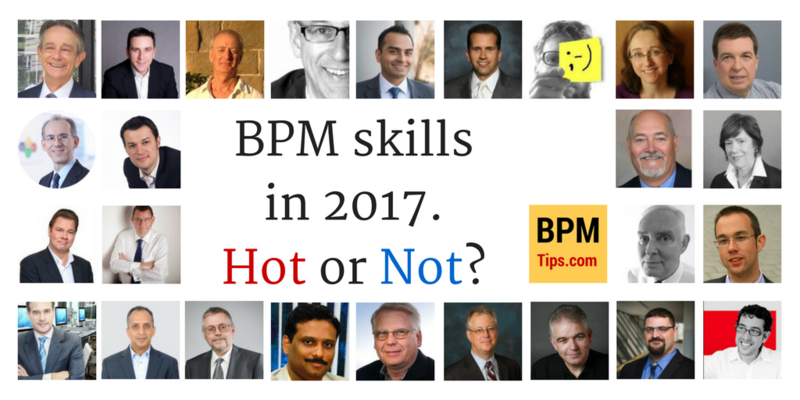 Get the “BPM skills in 2017” guide as a convenient, downloadable PDF. Below you can find the answers from 26 experts. You can either read everything or use the navigation below. Business Architecture that does not dismiss processes and replace them by capabilities will be essential to connect all the dots of integrated transformation. Keeping the business model NS Business Operating model connected through value creating end to end business processes with ownership and governance. All of this must be tied to measured performance focused on the end to end for customers. Being able to do all the process work as part of digitization of end to end processes driven by customers. The process is still the process and has to be designed for all aspects to work together. Business analysts must learn to see their work as designing a flow of work. Stakeholder analysis and design for EXTERNAL stakeholders putting aside the wants of internal stakeholders. It’s all about the result that the organization is mandated to deliver externally. Connecting process performance to stakeholder value needs not departments. Dealing with customer experience if there is general parity in the industry on the basic products and services. Example is mobile telecoms where everyone offers the same thing but the experience varies widely. Developing cultural change skills must become part of process work. Low level analysis of portions of an end to end. Everything else should still be needed but on a wider end to end scale. It is still going to take a while to get all aspects working in an organization so diligence and patience is needed. 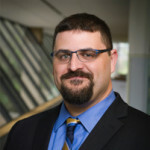 Scott Draeger is the Vice President of Product at GMC Software Technology. He joined the software industry in 1998, after earning a B.A. from University of Nevada, Las Vegas. He started managing processes as a document designer using several CCM technologies. He has more than 15 years of experience in the customer communication software industry as both a transactional document designer and a software vendor. 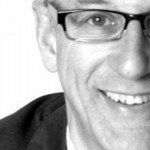 Lately, he is interested in the intersection of experience design and enterprise systems. This year will test your organization’s flexibility. If you made an organization that is too rigid, you might find yourself in trouble. You can expect that new regulations will allow less time for you to implement the changes they require. This means that your team, tools and processes need to expect change in 2017. With this much chaos on the horizon, it would be wise to get a group together to brainstorm likely chance scenarios for more regulation, less regulation, and a events that could impact your processes. Some early brainstorming might prepare you for a variety of unanticipated situations that could catch your competitors off guard. Process mining, because this is a year of change that will be major. It’s not a year of small tweaks that can be identified and optimized. There will be major changes for finance, insurance, utilities, government and other industries that will require rapid implementation. Process mining might regain prominence in the future, but focus on designing replacement processes quickly. Effective BPM requires practitioners to be aware of the principles of decision management, and to be able to model decisions formally in DMN. This allows organisational decision-making to be identified, tied to specific “decision points” in the process, and optimised. Whether decision-making is to be automated using decision services, constrained using decision support systems, or left as a free human activity, it is vital to understand the scope and structure of the decisions made, how they relate to data collected / generated by the process, and how the business knowledge applied in making the decisions is to be managed over time. Such business knowledge is a valuable corporate asset which cannot be managed unless it is first identified and modelled. BPMN / CMMN / DMN is becoming the de facto set of standard modelling notations. Learn these thoroughly and forget the others, and do not rely too heavily on the proprietary notations of any particular tool: knowledge of the standards is transferrable. Sandeep has contributed professionally and academically to Business Process Management for 10 years. He specializes in business process modeling and governance. 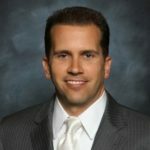 He currently leads a team of Business Process professionals in the United States. 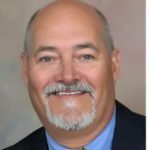 His business process management practice helped accumulate years of questions and lessons which are shared through social media, videos, classes, seminars and, of course, consulting. Sandeep has presented at international conferences across Australia, United States, England, and the Middle East. He recently developed Process Modeling Excellence, a 40 day program to establish or uplift the process modeling capability of any organization. Sandeep is a BPTrends accredited Business Process Management Professional and has a Master of Business Process Management. 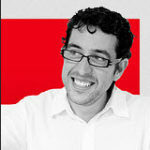 Ryan Johnston is the Director of Operations for Camunda Inc. in North America. He has a diverse background in business process application design and implementation, working with several of the commercial business process suites in addition to most of today’s popular open source business process suites. He sees open source solutions as flexible, powerful, and preferable alternatives to commercial enterprise software packages, allowing for more complete and robust coverage of companies’ individual business requirements. The mindset of the typical BPM practitioner should be different here in 2017. In many cases, our goal just a few years ago was to implement BPM and to identify business problems we could solve along the way. Now, instead of working in reverse, we look first to solve real-world business problems, and BPM, related technologies and standards such as BPMN, CMMN and DMN are a set of tools in a larger toolbox full of customizable software products that allow businesses to solve those problems… and to gain the required competitive advantage over their rivals. If the typical BPM practitioner can shift his/her mindset to align with that reality, that person will be much more well-positioned to recommend the right tool or combination of tools to address any individual client’s needs. I’d be remiss if I didn’t mention the need for flexibility in today’s tools. Gone are the days where companies would buy software packages and align their processes with the capabilities of those tools, and that is why more flexible, customizable tools are gaining more and more traction. Thus, if you want to be a leading BPM practitioner these days, work to be fluent in the core concepts and strive to gain experience with tools that are malleable and can be tweaked as necessary to satisfy specific business requirements. Two items come specifically to mind… First, we used to talk a lot about adapters to existing, proprietary enterprise systems, and that was big business. Not anymore; with the true, post-hype emergence of REST API’s literally everywhere, adapters are – in most cases – simply no longer necessary. If a tool can speak over a REST interface, then it can generally integrate with almost any enterprise software package in the market today. The only exception is Robotic Process Automation (RPA); in some cases, RPA focuses on automating how users interact with human-based user interfaces, and those “adapters” are clearly much more specialized (and not yet standardized). Next, and perhaps more importantly, the days of proprietary coding languages and formats are numbered, much more so than they were in the past. If you’re working with a tool that leverages a proprietary coding language (or any other proprietary mechanism for building business solutions), you should seriously consider whether continuing to work in that area makes sense for your long-term career path. Even the proprietary vendors are switching more and more to open standards and/or open source software components, which is a boon for developers, architects, and their employers due to newfound skills portability. Why do companies have processes? No, not to model them. No, not to analyze them. No, not to automate them. These are just means. What’s the goal? The goal of processes is to solve your customer’s problem(s). So, I think the skill with most value has always been, and still will be, the skill of “listening”. And I don’t care if that is done with ears, Artificial Intelligence or IOT sensors. Listening with the goal to find out what’s going on. To find out what problems should be solved. But don’t forget that a speedometer is quite useless if you don’t understand what the numbers tell you and don’t know how to act upon that information. So I would add “Learning” and “Acting” to the skills. Listen, Learn, Act. Sounds cool, doesn’t it? But is it special? Absolutely not. It is what every company (and person) should do to stay relevant and be valuable. It’s an attitude and it should happen every day. It’s daily business. BPM is daily business. And Listen, Learn, Act happens on different levels of BPM. First of all on a more strategic level. Because our beloved processes are just a means to solve a problem. A problem of a person, a group or society. So, good BPM starts with being able to understand these problems. Being aware what is going on and provide the services or products to solve those problems. And yes, processes need to be executed for that. The right processes. And that needs a good understanding of what are the customer’s needs and being able to adapt your collection of processes to that needs. As said, it’s also about learn and act. So to me that means skills that enable fast process development. Although they still exist, but most processes won’t last for 20 years. A good understanding of tools and technologies that help you to continuously support the right processes seem valuable to me. This is a trend you see. A trend I would call “Anti Enterprise Software”. No more expensive big systems that have to run for 20 years to pay a return on investment. But easy to change applications to support your processes. Maybe it’s a little weird to talk about “throw away processes” but I believe every executed case should be a trigger for process improvement. And wouldn’t it be cool if your supporting software is built with that mindset? That automatically brings me to a more operational level. On that level it is about understanding what is going on in your processes. What is the need of individual cases, what is the status, etc? And being able to adjust your “plan” if needed. Not by lengthy procedures and hierarchical approvement chains. But by the people who execute the processes. Process change power should be as close to the shop floor as possible. That needs a different culture. All these points are partly wishes, partly observations, but if I had to summarize them, I would say it is about being able to turn data into valuable action on the different levels of BPM. Technology can help with that. Isn’t E-listening what AI actually is meant for? Turning data into useful information so someone or something can act upon it. With acting being the most important. It is cool that a google car can identify there is a traffic jam ahead. But without being able to brake, that information is useless. So, if you have to turn Listen, Learn, Act into more business terms, it would be things like data science, Artificial Intelligence, Machine learning and skills (and technologies of course) that enable you to easily change the systems that support your processes. What skills are less needed? Is it worth to talk about the skills less needed? For sure needed skills will change. To me BPM never has been something that you do on top of, or next to, your daily business. BPM is daily business. And how you do it will change. Because of different needs or new technology. Will 6 months of AS-IS mapping still be a thing? Will Lean still be a thing? Will process mining still be a thing? Will BPMN still be a thing? I don’t know. And that’s why we as “BPM peeps” also have to Listen, Learn and Act. To stay relevant for organizations that take “Managing by process” seriously. – The process improvement team needs more knowledge of how BPMN modeling tools are more than just “flowcharts on steroids”, but can allow them to provide significantly more valuable input to the IT groups in the form of executable (or nearly so) process models that match the desired business processes. By developing skills in BPMN and related modeling tools, they add another process improvement technique to their toolbox, and can provide a helpful bridge for teaching business people more about BPMN. – The IT team needs improved skills on using agile techniques and technologies (including BPMS) in order to deliver on the promise of fast deployment and flexible systems. Too many organizations are still being sold on long, monolithic software development projects that effectively pour concrete over the current state rather than providing a platform for flexible response to business change. In addition to these two obviously BPM practitioner groups, the “citizen developers” — typically semi-technical business analysts embedded within business groups directly — need to gain skills on using low-code BPMS to create situational applications directly and without IT involvement. They are already doing this, except they’re using inappropriate tools such as spreadsheets: it’s time to empower them by giving them enterprise-strength tools to create useful departmental apps. Many organizations are spending significant time and energy on Lean Six Sigma programs, but not seeing a lot of benefit from them since they tend to focus on incremental improvement rather than innovation. In manufacturing and other industries where physical assets dictate a more incremental approach, these techniques will continue to dominate, but they will become less important in knowledge-based service organizations, including financial services and insurance. As innovative out-come-driven top executive and entrepreneur, Dr. Kirchmer has successfully led organizations and teams to achieve growth and performance goals in an international environment combining business and technology initiatives. He consistently overachieved results in his different roles, including CEO, Managing Director and Chief Marketing & Innovation Officer in the consulting and software sector as well as senior adviser, mainly in manufacturing industries. Dr. Kirchmer is a visionary leader, thought leader and innovator in the field of Business Process Management (BPM). 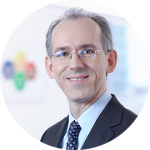 He has combined his broad business experience with his extensive academic research to deliver pioneering management approaches that have proven to be both, sustainable and provide immediate benefits. Most recently, Dr. Kirchmer founded BPM-D, a company focused on enabling ongoing digital transformation and strategy execution through the discipline of BPM. BPM-D has shown significant market impact in a short time, leveraging its innovative solutions. Under Dr. Kirchmer’s leadership BPM-D got recognized by CIO Review as one of 20 emerging enterprise architecture solution providers and by InsightsSuccess as one of the 50 most valuable tech start-ups in the US. Dr. Kirchmer remains involved in academia as an affiliated faculty member at the University of Pennsylvania since 1998, the Widener University, Philadelphia University and the Universidad of Chile. In 2004, he received a research and teaching fellowship from the Japan Society for the Promotion of Science. 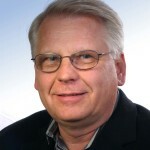 Dr. Kirchmer is a published authority of BPM authoring 6 books and over 150 articles for a variety of publications making him a much sought after speaker and expert. In 2017 BPM will continue its shift form a more or less tactical internal efficiency focus towards significant external value creation. BPM becomes the management discipline for strategy execution and ongoing digitalization. It must help to focus on what really matters, improve in the context of specific organizational challenges and sustain those improvements. Rapid improvements to react to fast market changes, standardization and customer journey planning for consistently best customer experience, value-driven as well as process-led digitalization and system-implementation become typical BPM initiatives. Narrow technical skills will be less important. From an information technology perspective more and more of the configuration and adaption of process relevant tools and application is done on a business level, hence less and less of the traditional programming is required. But also the more conventional improvement skills, like many of the Six Sigma tools, will be less important in an information rich digital world. Their application is often too slow and not sufficiently integrated into the new opportunities digitalization provides. Any knowledge and experiences gathered in the past will influence decisions for the future. Therefore, even if specific techniques or technologies are not really relevant any more, they are important to evaluate and apply new upcoming techniques and technologies. Process Mining is still a niche in the domain of BPM. 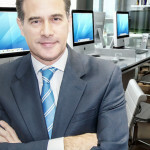 Professor Marcello La Rosa is the academic director for corporate programs and partnerships at the Information Systems school of the Queensland University of Technology (QUT) in Brisbane, Australia. His research interests span different BPM areas, including process consolidation, mining and automation, in which he published over 80 papers. 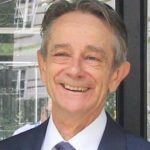 He leads the Apromore initiative (www.apromore.org) – a strategic collaboration between various universities for the development of an advanced process model repository, and coordinates QUT’s professional training program on BPM (www.bpm-training.com). 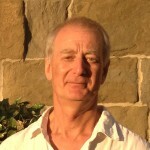 Marcello has taught BPM to practitioners and students in Australia for over ten years. Based on this experience, he co-authored “Fundamentals of Business Process Management” – the first, comprehensive textbook on BPM, which has influenced the curriculum of over 100 universities in the world. Recently, using this book he co-developed a MOOC on BPM, which attracted over 7,000 participants. 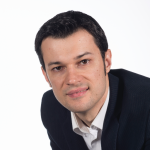 Below you can find few good practices and common errors mentioned by Prof. Marcello La Rosa in a video interview. You can watch the full interview HERE. If we want to start implementing BPM as a management practice within an organization, we need to start moving away from the scope of a single project and have an enterprise level focus to manage holistically multiple BPM projects. We also need to prioritize the management of the various business processes from a business process architecture using their strategic importance. The enabler for all of the above is the establishment of a sound BPM governance structure, which defines BPM decision processes, roles and responsibilities, standards and guidelines in the use of BPM methods and software tools. One of the most common errors is focusing on methods and tools rather than on the value these methods and tools should deliver for the company. For example, training 30 Green Belts when the company’s strategic priority is elsewhere: outsmarting the competitors through innovative products. Lean Six Sigma is not going to help to achieve that, yet there is no link between the choice of the methods and tools and the strategic objectives we must achieve. Another common error is to have a siloed BPM initiative, where multiple projects are conducted in isolation from each other. Overlooking the relations (hierarchical, temporal and generalization-specialization) between business processes may lead to a situation where improving one process creates inconsistency with other processes, besides missing out on opportunities for identifying shared solutions. I think the key is an ability to see beyond the symptoms of a problem, and get to the root cause. If the problem statement is that processing times are too slow or review cycles too long, that is an issue but not the underlying problem. Once the problem is identified, then work to resolve it. This is where process mapping is of great benefit. Document and validate the process, identify the players, and related content, then look for ways to improve that process. If possible, look to automate wherever possible, but do not put technology first, it is a tool. It is my belief that every skill has a time and place to be used. While some things may be considered obsolete or outdated, it is amazing how they suddenly become relevant again, when nothing else works. It is also my belief that skills learned and acquired, while they may not applicable to a current situation, is knowledge gained that provides enhanced insight into that which could be, when the time is right. For example, I once trained to become a Certified Insurance Services Representative and gained my certification in that field, yet I never worked in the insurance industry. Years later, working for a software solution s provider, I was able to apply that knowledge when addressing the insurance sector to enhance their content management environments and improve their operational processes. 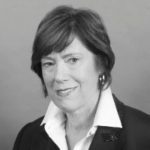 As Senior Vice President of Research at Digital Clarity Group, Connie has unparalleled experience working with senior executives in business and IT, technology marketing, and government, from SMEs to large enterprises throughout the globe. 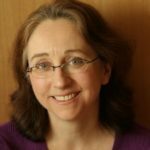 She has managed international teams of analysts focused on a wide range of technologies such as social and collaboration, content management, business analytics, business software (e.g. ERP, CRM, HCM), and BPM suites. Her research encompasses business transformation, business process management, customer experience management, information management, the future of work, new business models and organizational change management. Connie is highly sought as a keynote speaker and conference chair on five continents. This year, she was honored by her peer group for thought leadership in business process transformation, adaptive case management and BPM software when she received the highly coveted Marvin Manheim Award from the Workflow and Reengineering Association (WARIA). Prior to DCG, Connie was a Vice President, Principal Analyst and Research Director at Forrester Research for more than 20 years, where she pioneered new data-driven research on global Bring Your Own Technology trends, forecasted and defined the next generation of business suites, and drove innovative dialog among marketing, business process and IT senior executives about how to succeed at large-scale business transformation. – Process transformation/improvement methodology skills, particularly Lean and Six Sigma or Lean Six Sigma. Use Lean for initiatives that involve analyzing the big picture and use Six Sigma or Lean Six Sigma to analyze and drill down into a specific part of a business process. – Organizational change management. This perennial topic comes up with virtually every project because it is a big possible point of failure. Skills in change management could include the ADKAR methodology from Prosci or it could be more specialized, even “home grown” methodologies. Conferences that focus on operational excellence are good events for learning more about how business process executives have successfully tackled organizational change. No matter what methodology or technique the practitioner uses, it’s vitally important that the practitioner and executives focus on communication, communication, communication. – Customer journey mapping is important for business process practitioners to understand. Often related initiatives are being pursued, unbeknownst to the different teams, that are related to the same business process. BPM teams may be looking at how a cross-functional process works within or inside the organization, while marketing and customer experience teams may be looking at the same cross-functional process from the outside in perspective. The BPM team is most likely using a process modeling tool while the customer journey team is most likely using a journey mapping tool. These two teams may discover each other at some point in their unintegrated projects, and decide to join forces or at least collaborative. At that point, it is helpful to know and understand the journey mapping tooling the customer experience team uses. – Net promoter scores are important KPI metrics for executive dashboards, and business process practitioners need to understand how they work and how to integrate them into the BPM reporting and monitoring system. – Analytics are everywhere, and this explosive growth will only continue over time. BPM practitioners need a working understanding of analytics, whether it is analytics for monitoring process results, predictive analytics that initiate steps in a process or something else. Having a working knowledge of analytics will be very helpful. Three skills which represent even greater opportunity BPM practitioners to deliver value are 1) User (or Customer) Journey Mapping; 2) Data Modeling and Analysis; 3) Decision Modeling. Overall, process modeling remains a critical skill set, and one of the greatest challenge for new hires (hiring managers) among BPM practitioner teams the general lack of ability to properly represent and differentiates process, data and rules. In 2017, Lean Six Sigma will remain no longer relevant, likely the least relevant, and closely large architecture frameworks (TOGAF, et al.) in contrast with localized business architecture practices and leverage of standard notations such as Archimate. 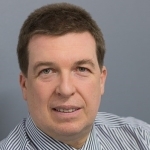 Juergen has more than 25 years industrial experience about enterprise modelling and the realization of Business and IT Architectures. He is recognized for his deep knowledge and the systematic use of visual standard notations and of different frameworks für the design of an Enterpirse Architecture. 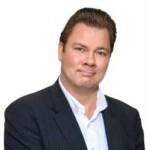 His knowledge is often sought in the field of Business Process Management and Decision Management. Decision Management: I mean not only learning the notation Decision Model and Notation (DMN). But to understand more application areas. Decision Management is important not only for compliance. Other important use cases in the context of BPM are improving communication and using Decision Management for predictions. We need to improve our soft skills to apply traditional and new concepts. How can we apply new techniques? Another field to look for are BPM-Systems for implementing. We see a discussion about “zero-code”-systems. But complex individual applications need sometimes more complex features. I believe that we will see more frameworks for different areas which combine process engines with complex application frameworks. We are fast to declare something irrelevant. I believe you can learn a lot from traditional techniques and methods, also from other fields and industries. Try to understand what was the goal, what was good, what was not workinng. Combine with new techniques and methods. It is always good to have many techniques in your toolbox. I give the same answer: Understand what is not yet working and what is the goal. CMMN is such a hype topic. We see CMMN in systems and used by experts. But how to explain it to “normal” users? Or who is the target audience for such a concept? I mentioned the use of decision management for predictive analytics. We have the same issue: Who is the target audience? How to explain and use in a practical way? 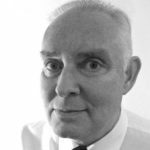 Ian Ramsay works as an independent consultant in Business Process Change and Automation specialising in complex financial service operations. 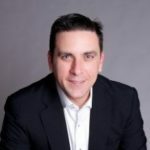 He was a founding partner in a successful BPM Software Platform business and has since been engaged in the real-world design and delivery of major process automation solutions. His work includes a patent for an innovative business rules algorithm and engine. 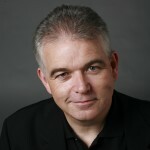 Ian was a founding member of the original BPMN Standards Group and contributed to the V1.0 specification. 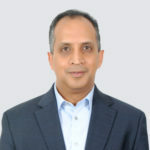 He holds a Degree in Systems Engineering and Computer Science, Business Administration and is an accomplished LEAN 6-Sigma practitioner. 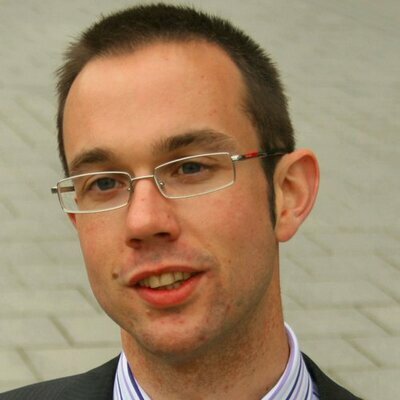 Currently, Ian is engaged in commercialising a radically new and cost-effective approach to Business Process Analysis, Design and Execution with an associated book. Despite a number of potentially useful standards, BPMN and DMN come to mind, the range of technical implementation platforms is now more diverse than ever and few standards prevail. So technical BPM practitioners need to become ever more skilled in fewer vendor platforms. Perhaps just one. I expect AI based services to be soon woven into BPM data structuring and decision making introducing the new role of Process Knowledge Engineer. Business Architecture has emerged more recently as an important (and long overdue) BPM role. Avoiding the definition of impossible or uneconomic solutions, with the diversity of quite technical BPM tools and approaches, demands that BPM analysts, of all levels, must also possess a solid appreciation of implementation technologies. Unfortunately, BPM technology still influences the business solution design. Effective process management, automated or otherwise, is totally dependent upon data. Especially structured: process, reference and business data. This fundamental reality is often been overlooked (typically by sales and market marketing). It emerges to be the major cause of BPM delivery failure and business value destruction. The rapid corporate adoption of simple, secure and performant REST services has more recently eliminated the need for an expensive, parallel data integration / ESB programme to underpin BPM value creation. The need for highly paid Integration Engineers is diminished. REST services also opens the door to an abundance of cost-effective externally hosted services to add even more BPM business value. Now that is an interesting question! The words that jumps out at me is the phrase ‘create value’. I think that as practitioners we often assume that there is an instinctive understanding of what value is. Yet, so often in organisations there are different perceptions and perspectives on this thorny topic. In fact I suspect we’ve all worked in organisations where some of our stakeholders haven’t really considered the value they are seeking! With this in mind, I think a really useful skill is the ability to understand people’s perspectives and to help define the value that organisations are seeking. Is ‘quicker’ better–if so why? Is ‘cheaper’ better, if so why? This involves understanding organisational strategy, linking that strategy to BPM as well as change projects, process improvement initiatives and so forth. It also involves ensuring we have a firm understanding of our organisations external environment, value proposition, and the value expectations of its customers. After all, if a product is positioned at the luxury end of the market, then its customer support processes are probably very different to one at the economy end of the market–and it’s crucial that we know that! Understanding value has another advantage. In linking BPM to value, we make it easier to ‘sell’ to our stakeholders. We position BPM & analysis against that business value. I think we’re also seeing a shift towards a (very sensible) view that it isn’t really possible to ‘create value’–or certainly not in isolation. What we can create are the conditions where value can emerge. I.e. we work with stakeholders to co-create value. This might sound very abstract, but it’s actually really important. It shows the need for a rich and deep connection with our stakeholders–from top to bottom of the organisation–and reinforces the need for us to spend time knowing them, networking with them and understanding their worlds. I’m not sure that any skills are completely irrelevant, but I think that we are seeing that the borders between disciplines are becoming more and more blurry. Perhaps, going back a few years, there were certain tasks/techniques that were seen as within BPM and others that were seen as outside of this. The same with business architecture, business analysis, and other intersecting disciplines. I think we’re seeing a really positive growth of interdisciplinary communities, and that is such an exciting thing. It’s not ‘either/or’ it can be ‘both’. So, one thing that is no longer relevant (or no long as relevant as it used to be) is the expectation of fixed silos. It’s far more about experienced people doing awesome work to co-create value. In 2017, all BPM practitioners need to pay attention to the value of Business Process Management in Digital Transformation, so their roles are very important in the transformation journey. So they need to focus add skills in technical disruption forces (SMACT – Social Mobile Analytics Cloud Things) in order to manage BPM projects where it should be possible to use Process Management Social Networks, Streaming Analytics and Big Data, Mobile Process Management, Event Processing and Internet of Things. But, due to the cultural change of the Digital Transformation and BPM implementation, it is important to improve the skills focus on how to make an effective communication, empathy and relationship with all stakeholders to get the cultural change without rejections. Another important consideration is to be focused on methodologies of continous improvement (Lean, SixSigma and TOC), as companies are more aware of applying these methodologies for business and process improvement. And the last skill but not the least, Adaptive Case Management skills, as more and more companies wants to implement structured processes and not-structured processes. All the skills are relevant as BPM maturity is low in the market yet, and the professionals need business knowledge and technology expertise of the all BPM lifecycle to advance in the maturity and to be able to develop the process transformation with the new value chain in the digital transformation of a company. But it is required to advance in terms of the focus, as many companies need to change the perception of what is a BPM Project, as it is not a Project of Technology, but a Management Project to optimize the Business Processes aligned with the Corporate Strategy. Pramod Sachdeva is the Founder and Managing Director at Princeton Blue. 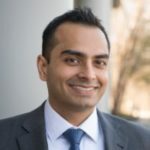 Pramod has been an evangelist for Digital Transformation using BPM, Business Rules and Cognitive technologies since he founded Princeton Blue over a decade ago. With over 30 years of business and technology consulting experience, Pramod brings tremendous knowledge to help clients navigate their digital transformation journey. Pramod’s vision has helped Princeton Blue get recognized as a high-profile thought leader in delivering digital transformation by leading industry analysts. You’ll be amazed how many BPM projects don’t go back and measure the actual ROI vs the promised ROI. More often than not, the project team is more focused on delivering the technical challenges and less on quantifying the business value. Business value assessment and process performance measurement skills will help more clients justify the need to grow BPM from a project to an enterprise program. One of the features that differentiated iBPMS from its predecessors (BPM and Workflow) was Process Simulation – a capability we hardly see clients use these days. The promise of 100% code-free BPM development is not too far in the future. From a one-click responsive mobile application to low-code development, today’s leading BPM platforms allow non-Computer Science majors to develop quality BPM solutions in weeks. a) be able to think out-of-the-box, e.g. how to use BPM outside enterprises, for example, apply BPM to bigger (than an enterprise) domains: healthcare, digital contracts, IoT , smart-home. 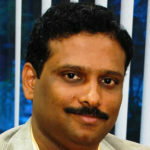 Suresh Sambandam is the Founder and CEO of OrangeScape Technologies. He is an investor, speaker, and has few patents to his credit. He has been disrupting the BPM industry with KiSSFLOW. – Most BPM practitioners are good at process design but very bad at data mining. Data and processes must go hand in hand to build effective process automation. Data modelling is analogous to proper payload, proper modelling, etc. It’s high time that BPM practitioners understand the importance of data modelling. – Data analytics skills will be continue to be very important. Even though many BPM tools give process statistics and pre-processed reports, companies are still going to want custom reporting, and practitioners should be familiar with tools like Tableau, drilldown charts, pivots, etc. – Predictive modelling through machine learning will be the thing that sets apart the elite BPM practitioners of the future. We should already be employing machine learning techniques that will find new patterns and correlations that weren’t thought of before to forecast better opportunities. – Process simulation sound like an interesting option, but when it comes to practical applications, it is way to complicated to use. In many cases, process simulation just breaks down. The BPM analyst often believes that it is all about drawing the process. Well, yes it is. Drawing the process is critical. But it turns out that is the easy part. With modern process modeling tools, I am finding that only about 5% of the time is spent drawing the process model. Indeed, that 5% is saving a ton of work that you would have had to do without the process model, so it saves many times more than you spend on it. But what I am finding is that most of the time – the bulk, maybe 40% to 50% — is purely on UI implementation. Users don’t want static forms, and they don’t just type values. They want ability to search and look things up, to validate values, to prompt with previous values, and all of this interaction has nothing to do with the business process, and everything to do with creating a good user interface. 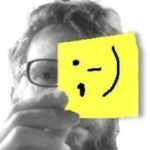 The BPM practitioner must know how to make a good UI. There was a fad long ago (around 2008) for pushing a process language called BPEL. That is completely irrelevant now. The problem was that BPEL worked in a completely different manner than BPMN did, and thus the translation from BPMN to BPEL was imperfect, and only caused errors. Current implementations just execute the BPMN directly. Use of XML is fading. While it is still used a lot, newer implementations are switching to JSON data transfer. 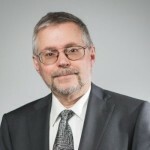 As director of the group responsible for managing APQC’s Open Standards Benchmarking® database and the Process Classification Framework®, John Tesmer coordinates benchmarking projects and is responsible for innovation in benchmarking processes and development of APQC’s various process classification frameworks. 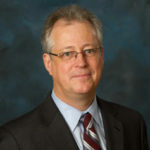 John has led the development of APQC’s benchmarking tools, including the benchmarking portal, the Benchmarks on Demand service, and the ongoing development of APQC’s Process Classification Framework to help users accelerate benchmarking, content management, and defining of business processes. BPM practitioners in 2017 need to identify or create an holistic framework for thinking about process management in their organization. It’s time to start managing processes holistically within your organization, and that means integration with strategy, process improvement, IT, and more. You need to push your leaders and colleagues to all begin using a common terminology to represent all aspects of process management that need attention and control. Stop thinking in point solutions that address the current burning platform and one-off improvement-fests. Build a strong process management culture in 2017. The hype meter on analytics, neural networks, smart machines, enterprise IOT, intelligent automation, and more is going to blow thru the roof in 2017 as consumer applications of this stuff really hit the main stream and niches within enterprises are finding success. Don’t get burned on this by trying to implement it in your enterprise right now. It’s not time yet to replace your people with process automating robots – but know that wave of innovation is coming in the next decade. Start making sure that your culture, processes, and data are ready. Make sure your executives can understand how this massive change will affect your organization in the coming years. Create an environment where your people can continue to add value in the face of ever-increasing automation. I see more and more demand for highly personalized user interfaces in BPM applications. User Interfaces in which BPM practitioners focus on end users, decides on the level of process details revealed and make things such ergonomics, design and accessibility a priority. Highly personalized UIs is an essential piece of what I call “process-based applications”. Those applications are a highly viable alternative to custom development. With the additional advantage that the resulting applications can be changed after deployment, on the fly, to keep up with changing business needs. I would say that traditional BPM simulation techniques are not relevant anymore (aka, evaluation of the way processes runs under different resource availabilities and different load profiles). Traditional BPM simulation is usually based on specified number of iterations over a specified period of time and are run either with simulated data or with assigned probabilities. An interesting read and what stands out to me is the difference in opinion from the “experts”. Likely this results from different roles of the respondents, many are analysts, some traditional business consultants, others mimic their vendor messaging and a few actually implement solutions on a daily basis. In general, there seems to be a consensus that with the relatively recent ability to truly analyse massive data sets that rules and decision management systems will become more meaningful in modern process solutions. In my opinion, I believe 2017 will herald the emergence of flexible processes where routing is less hard coded and more dependent on data analysis and decision services. In short, more case oriented. A number of the respondents cited DMN and CMMN and certainly the emergence of these standards is key, but it it the combination of BPMN, CMMN, DMN and analytics that will drive the solutions from today going forward. Modern process solutions will make use of all of these technologies to realize the long sought goals of giving the power to manage the business back in the hands of the business. Yet, the business will still rely in many ways on IT, someone has to build the “services” that manage data persistence, exchange and transformation, yet we now have a clear separation of business and IT. I think this will make everyone happy. Let’s go 2017, we finally have the tools to truly solve business problems without hacks and work-arounds of the past. Great comment. Role does play a powerful force in how people see trends. Some things that are major problems for one organization are minor issues at others. I liked participating in this, and I do have a perspective. I usually walk into situations where redesigning is on the table, so I see building flexibility into the system as a great advantage. Great Article Written by Zbigniew. Very Helpful Information. 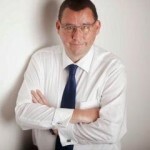 Zbigniew , Great article it is very informative . keep it up Zbigniew.